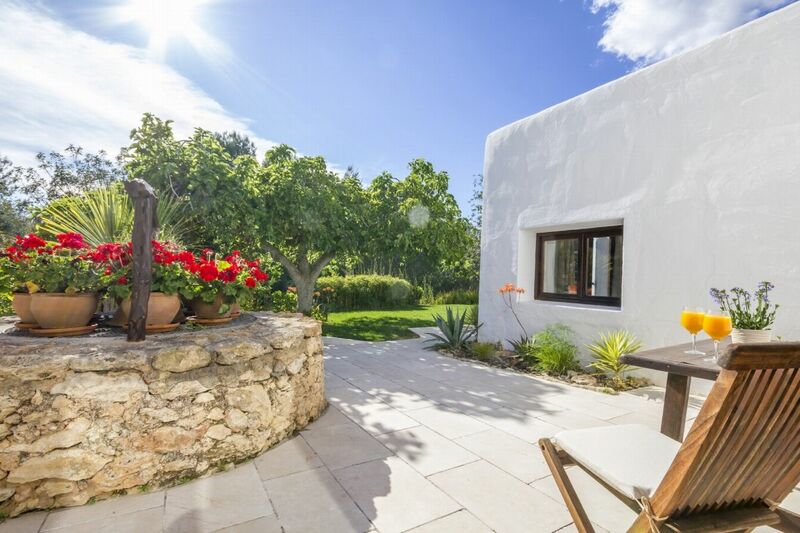 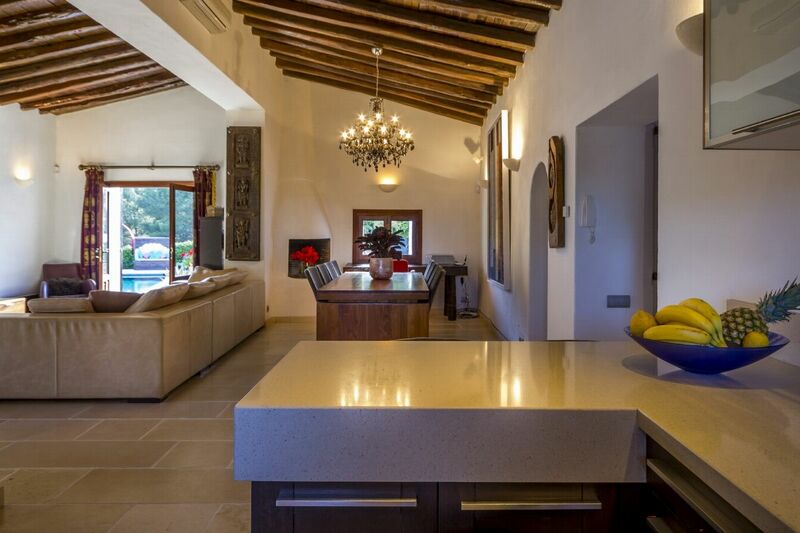 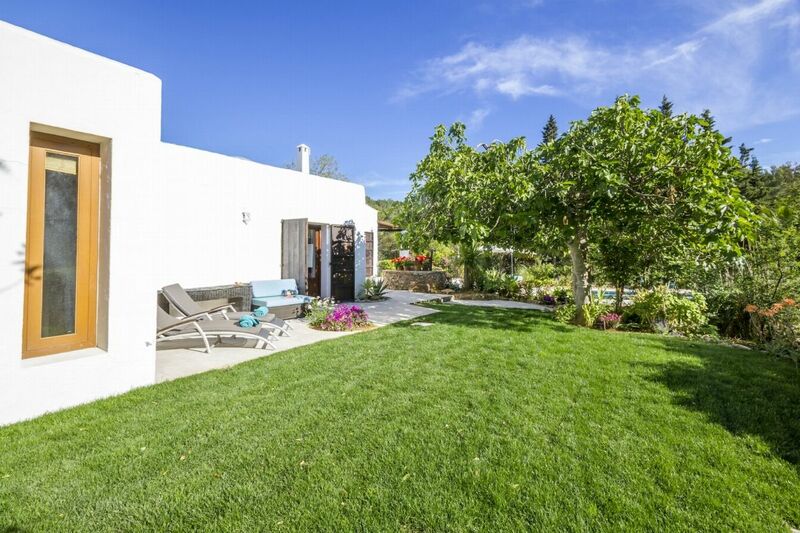 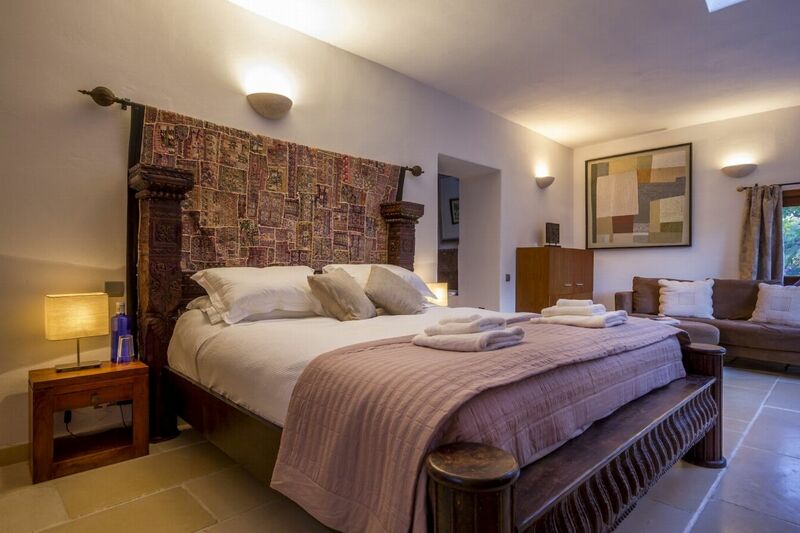 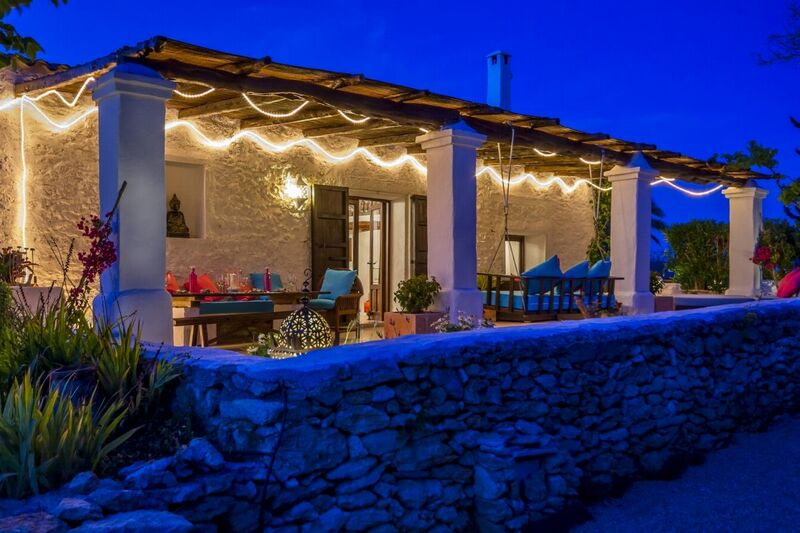 This 200-year-old traditional Ibizan finca enjoys a fantastic, peaceful location in the green heart of Ibizaâ€™s countryside, between the charming villages of Santa Gertrudis and San Lorenzo. 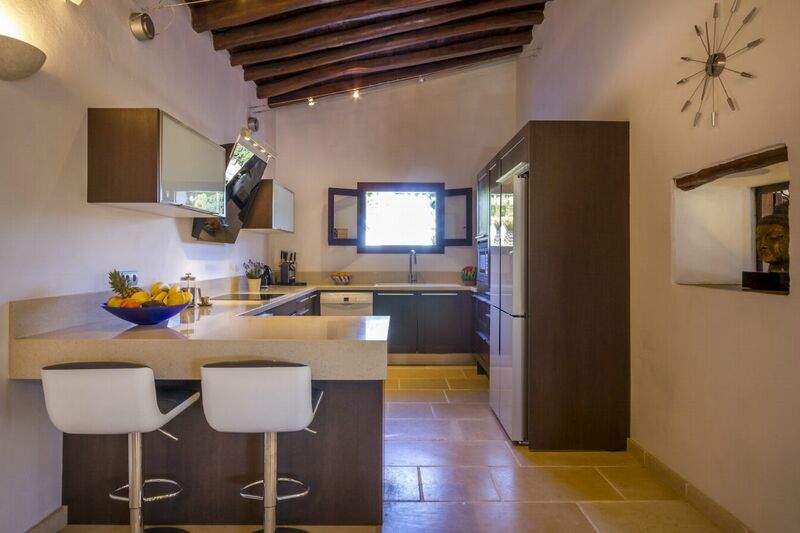 San Gertrudisâ€™s restaurants, including Bambudda Grove, Aura, Macao and Ocho, are all within a few minutesâ€™ drive. 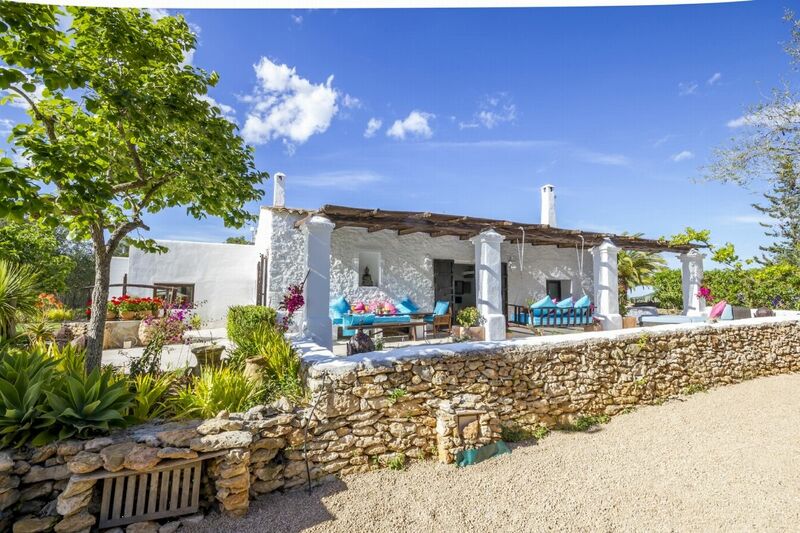 This characterful property has been sympathetically modernized to combine high-tech comforts with a wealth of charming features. 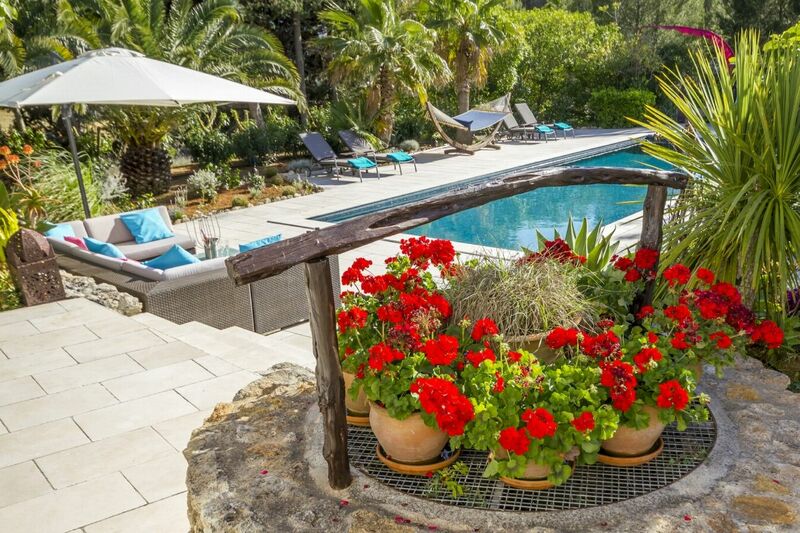 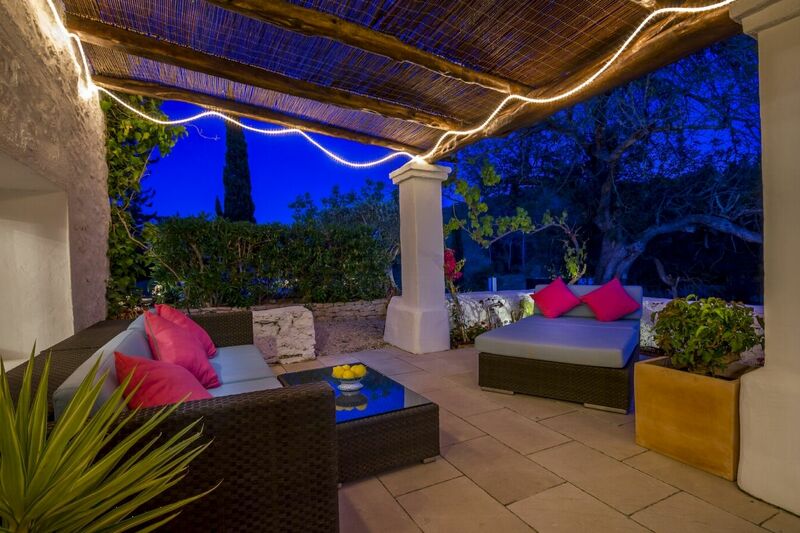 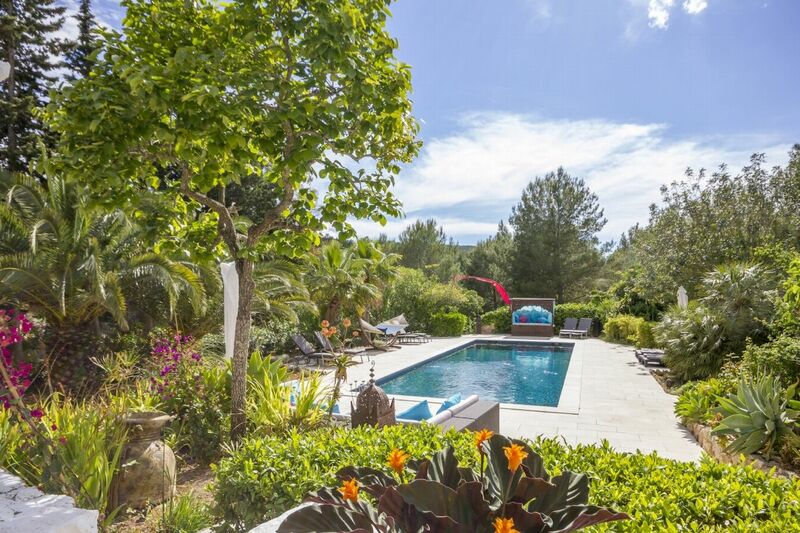 The idyllic garden brims with mature trees and fragrant planting to create a secluded escape where you can soak up delicious Ibizan sunshine all day long. 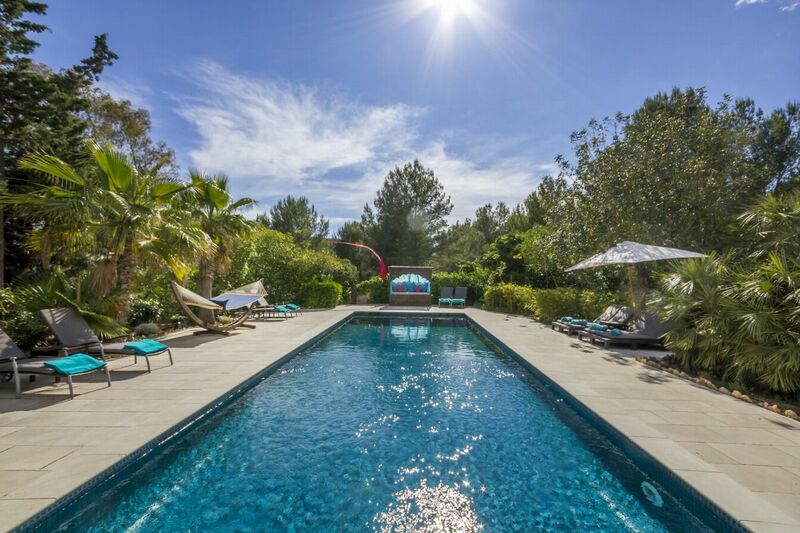 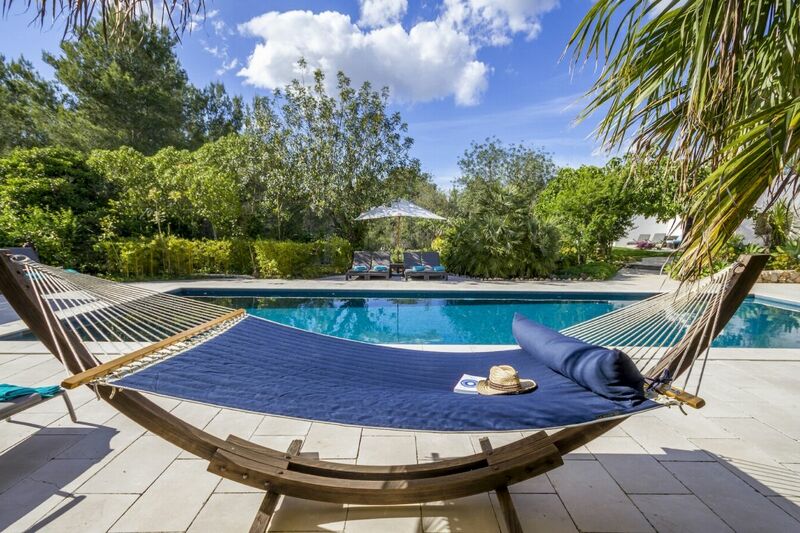 The large pool is surrounded by tropical planting, loungers and a freestanding hammock; you can while away many a pleasant hour out here listening to the peaceful sounds of birds and crickets chattering in the gardens or to the poolside music system. 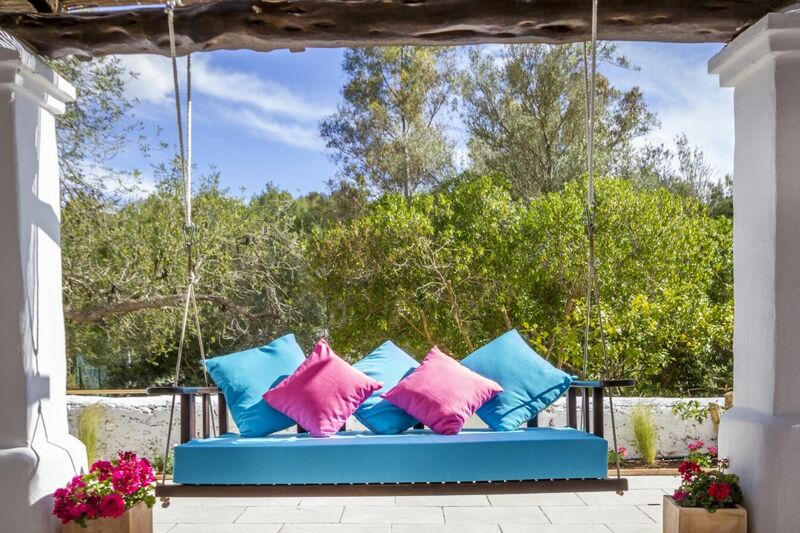 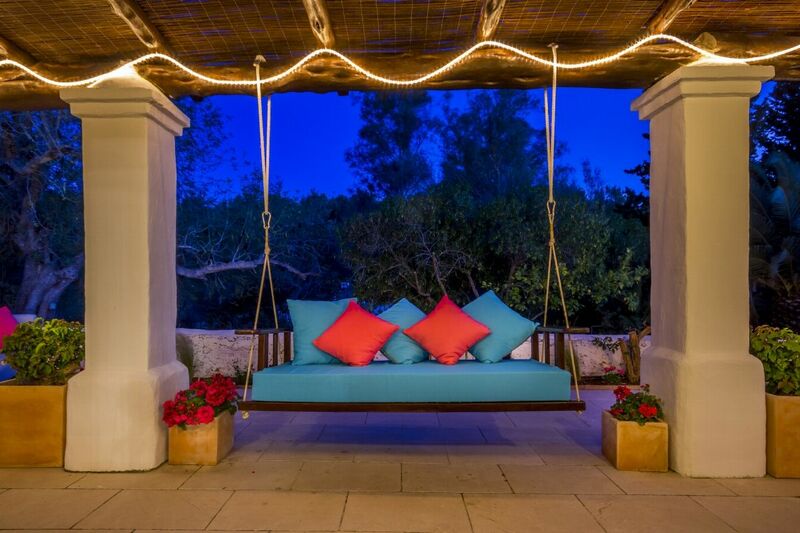 The charming gardens are also home to a Bali-style chill-out pavilion, with dining area, daybed, sofa seating and swing bench and a smaller sun-drenched terrace seating area. 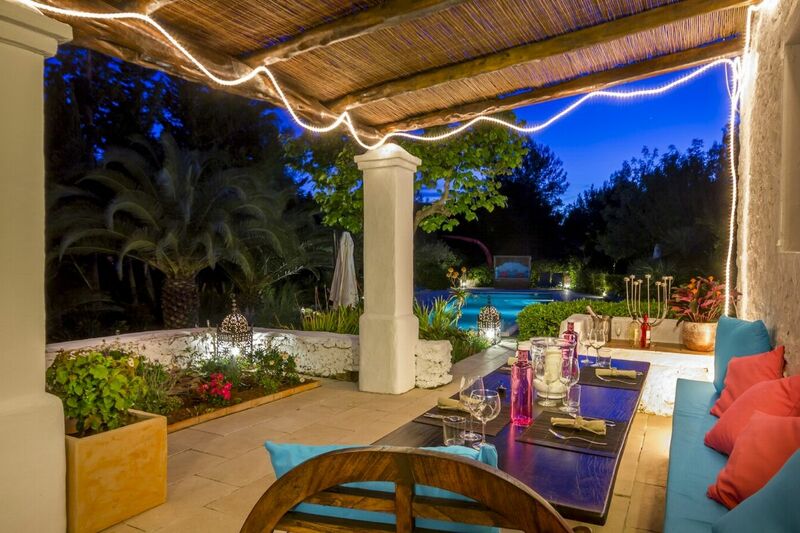 There is also a floodlit tennis court onsite, shared with a neighbouring villa. 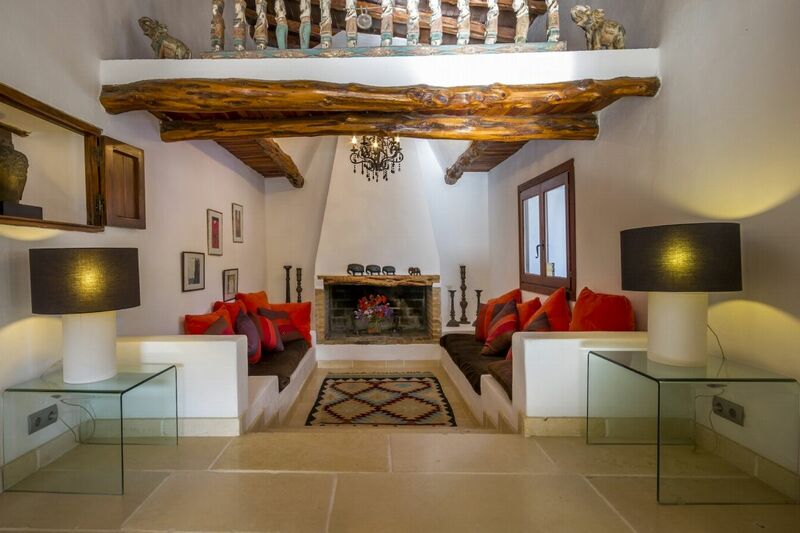 Inside, the polished tiled floors, authentic juniper wood beams and slatted wood ceilings create a rustic ambience in surprisingly large rooms. 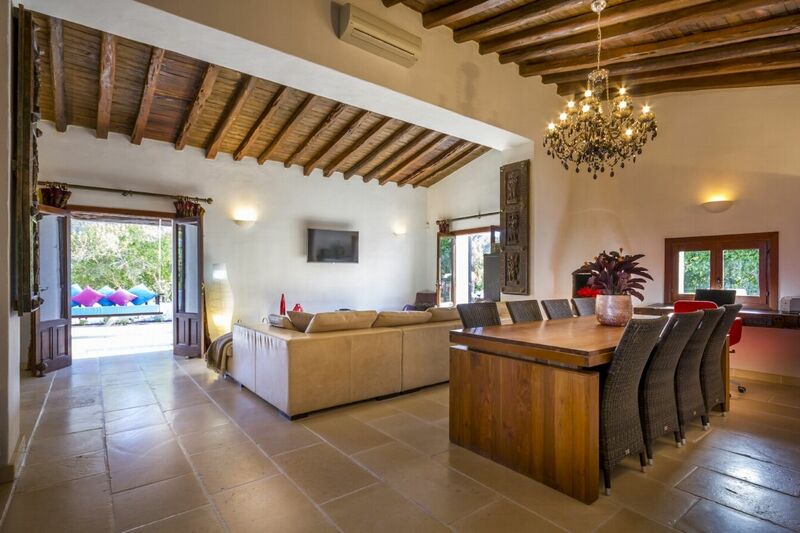 The open-plan living space includes a cosy lounge area, formal dining and a smart, well-equipped kitchen. 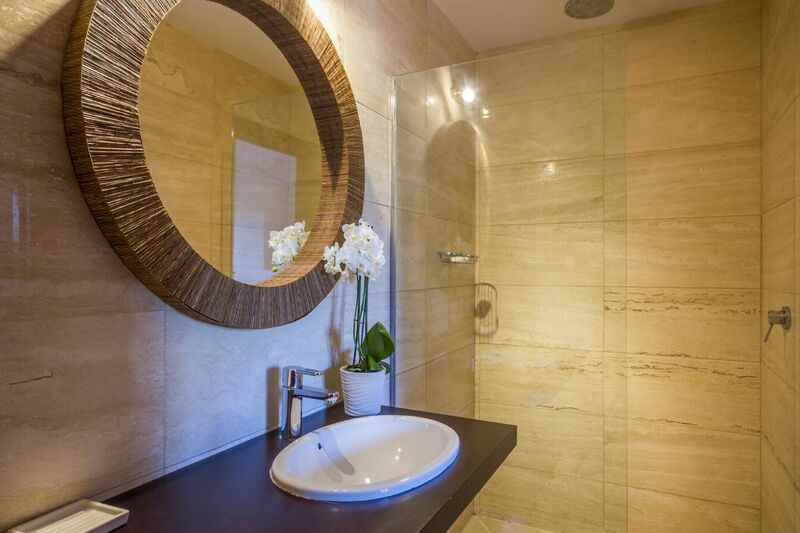 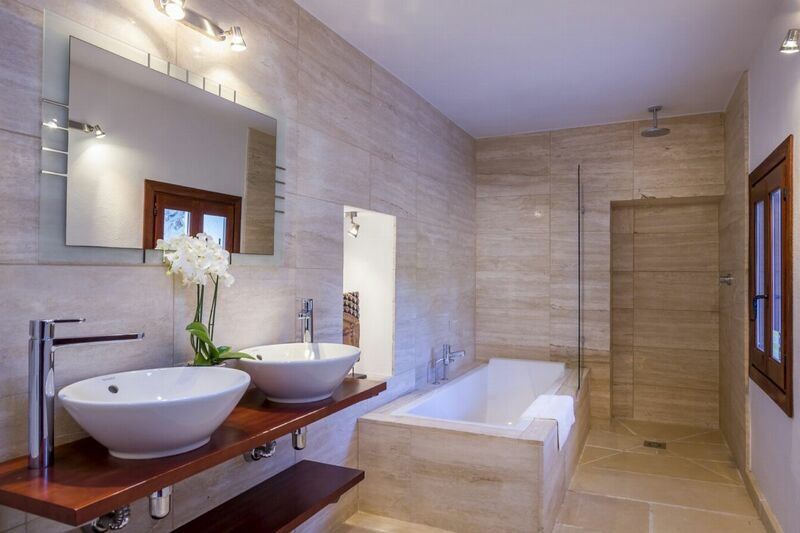 The two master suites both have access to the terrace and each has an en-suite with both bathtub and rainfall shower. 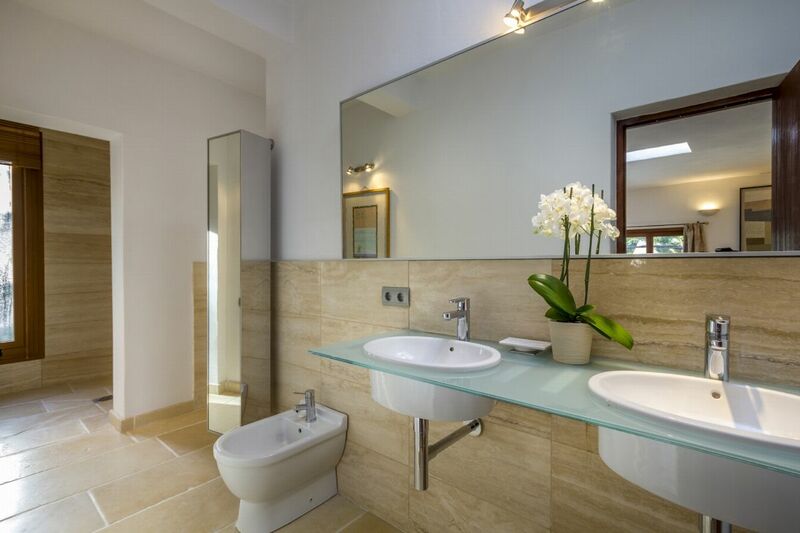 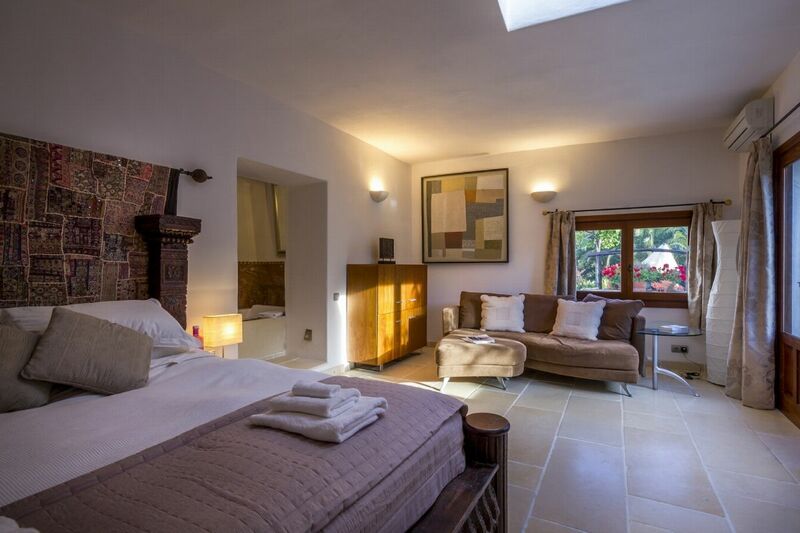 The third â€“ a twin room with pretty garden views â€“ has an en-suite with walk-in shower. 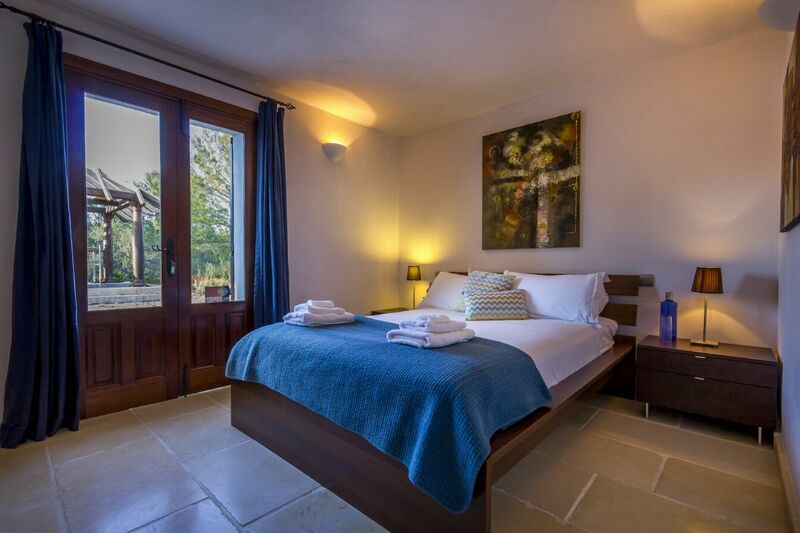 The fourth room is a large double with outdoor access to a yoga area and Bali cabin and an en-suite with both bathtub and rainfall shower. 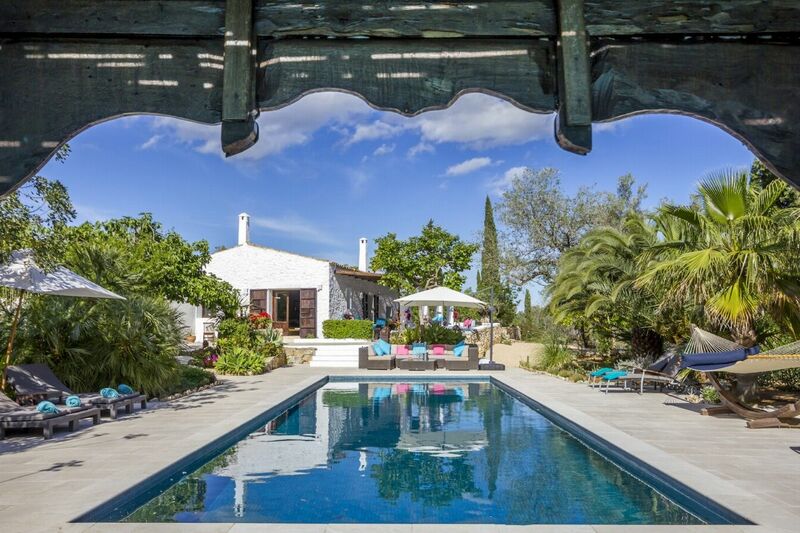 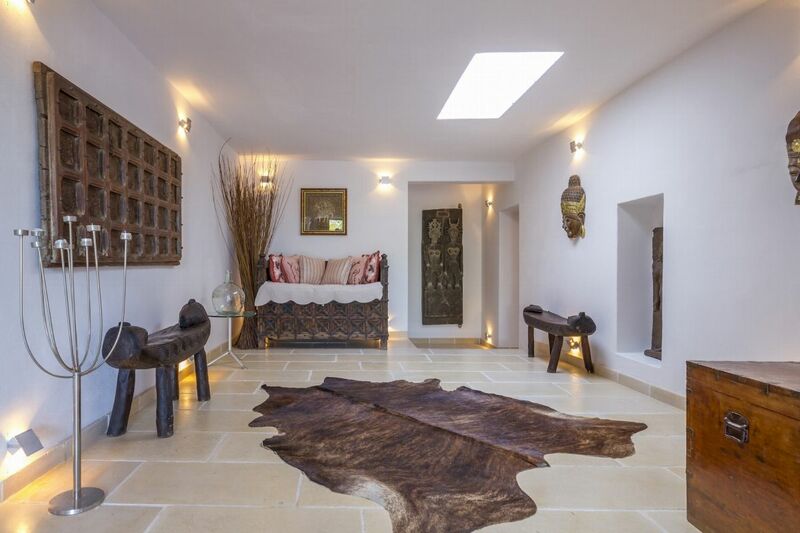 Finca Bonito is a charming property in a beautiful rural location. 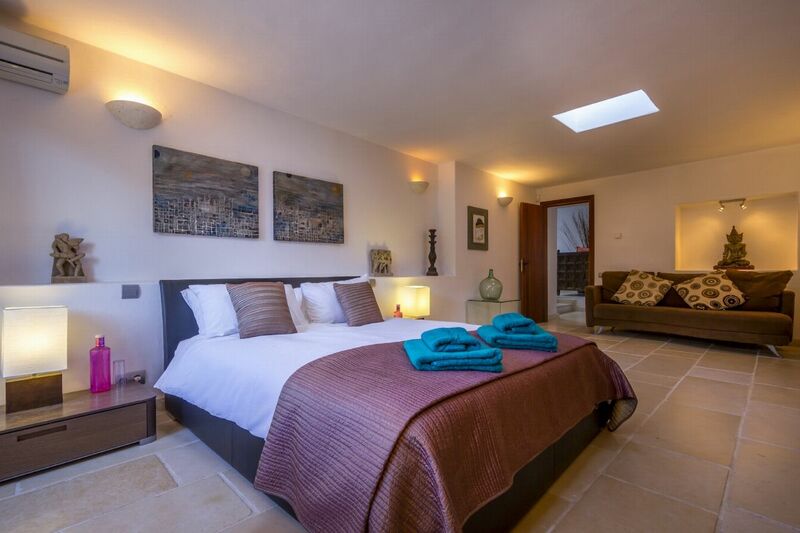 King size bed, sofa, dressing table, access to outdoor terrace, TV, Bose speaker, en-suite bathroom with bath and rainfall shower. 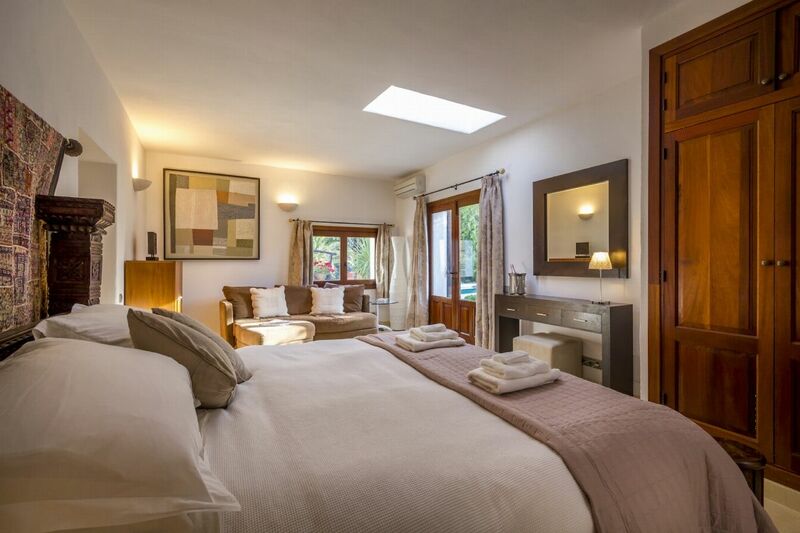 Twin room with garden views, wardrobe and drawer unit, en-suite bathroom with shower. 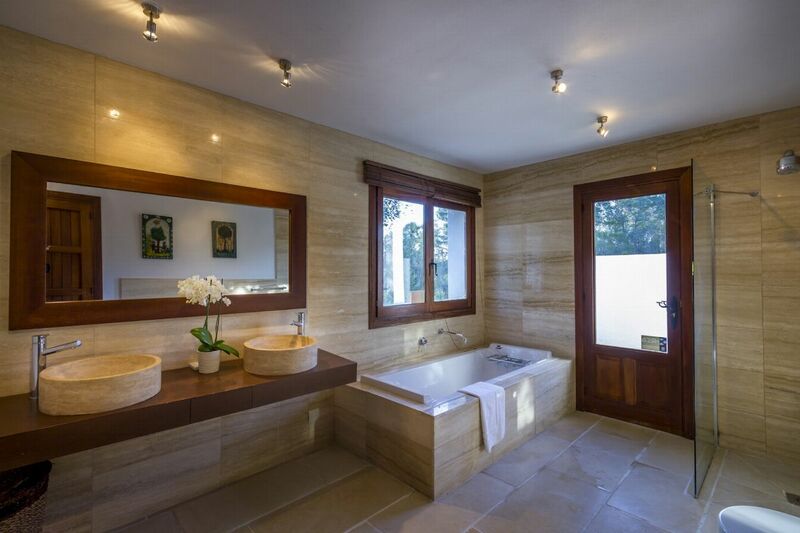 King size bed, outdoor access to yoga area, Bali cabin, wardrobe, drawers, en-suite bathroom with bath and rainfall shower.